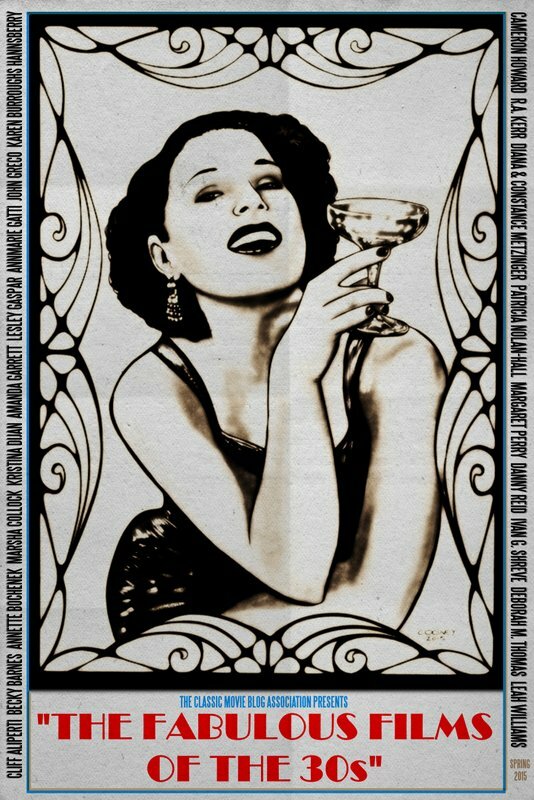 via: http://hawkmenblues.blogspot.com/2014_12_07_archive.html Unless otherwise noted, all images are my own. 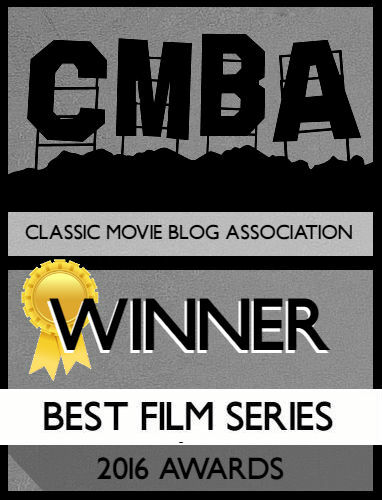 This is a bit earlier than I usually go, but when I saw that ClassicFlix.com had a copy of Chance at Heaven (1933) I had to write about it. 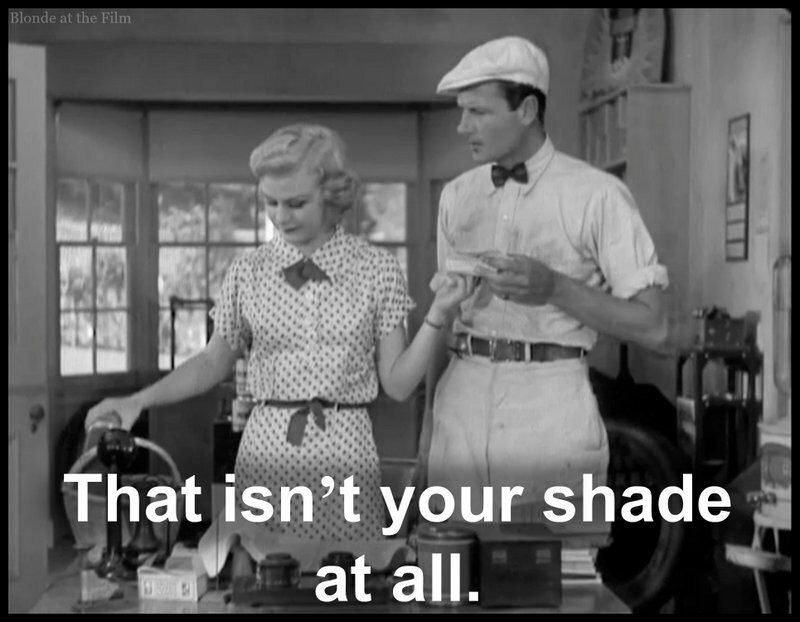 It stars Ginger Rogers opposite my favorite actor, Joel McCrea. 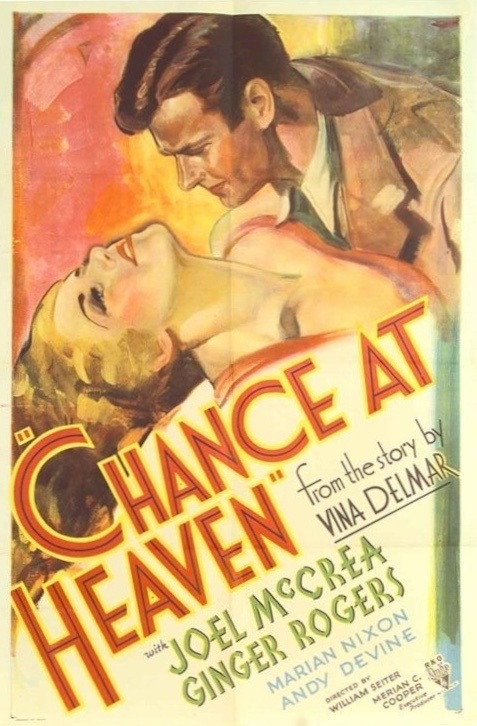 Chance at Heaven was based on the short story “A Chance at Heaven” by Viña Delmar. 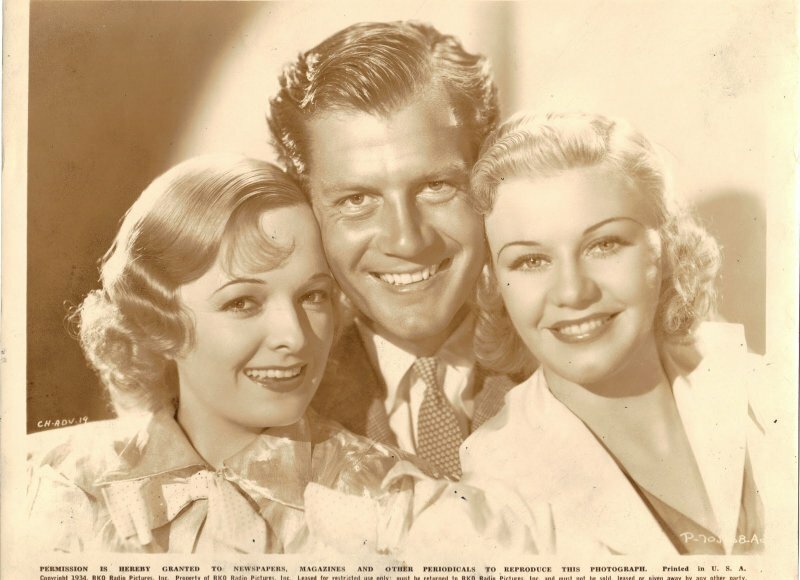 Delmar wrote many plays, stories, and screenplays in the 1920s through the ’50s, and twenty movies were based on her work, including Hands Across the Table (1935) and The Great Man’s Lady (1942), which also starred Joel McCrea. 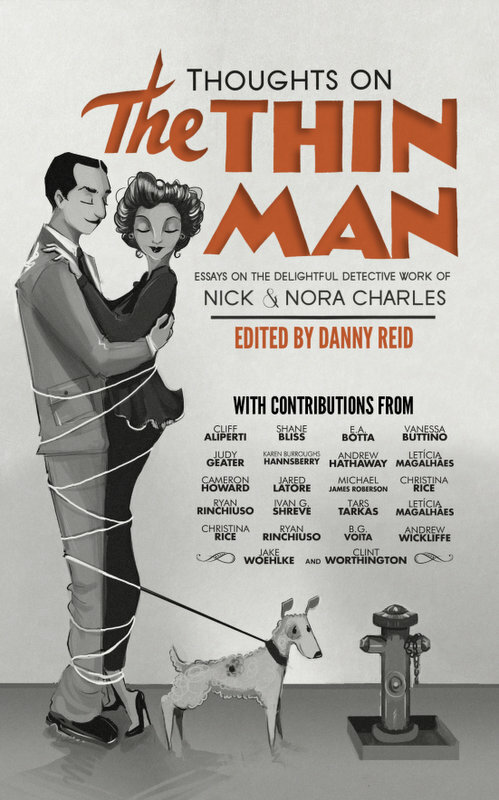 Delmar had a very successful career and was nominated for an Oscar for Best Adapted Screenplay for her work on The Awful Truth (1937). 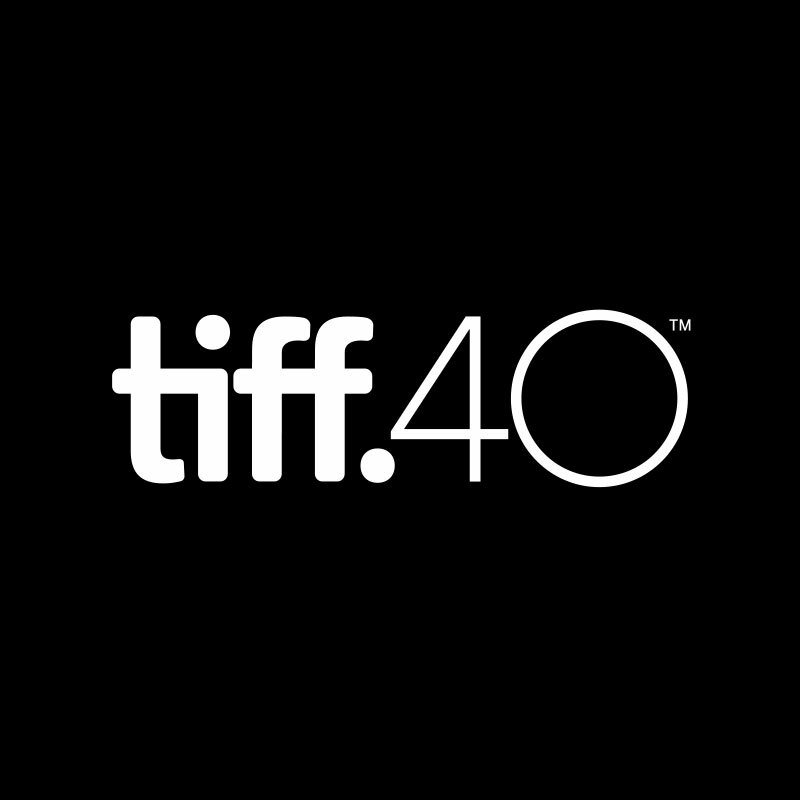 “A Chance at Heaven” was adapted by veteran screenwriters Sarah Yeiter Mason and Julien Josephson. Both had begun writing in the silent era but also found success in sound films. Josephson was nominated for an Academy Award for his Disraeli (1929) screenplay, and Mason and her husband would win the Oscar for their script for Little Women (1933) in March of 1934, just a few months after Chance at Heaven premiered. Rogers also knew Seiter, having just worked with him on Professional Sweetheart (1933) and Rafter Romance (1933). In 1933, Rogers’ star was rising fast. She had done well in several movies for Warner Bros., and she and Fred Astaire had recently made a big splash in their first film together, Flying Down to Rio (1933). As I discussed in The Major and the Minor (1942), Roger is most famous today for her dancing films with Fred Astaire, but those movies account for only ten of the 73 films she made during her long and highly successful career. She could play both drama and comedy as beautifully as she danced, and I always enjoy spotlighting her non-Astaire films. I played opposite her and nobody said anything about the fact that I was getting $250 or $350 when she was getting maybe $1,500 or $2,000. If they did, it didn’t make any difference to me. I was taking a step ahead. I was going somewhere, that’s all. If I had enough to eat on, it was fine, as long as I began to get a little bit more significant parts. This is certainly a significant part, but it wasn’t an especially significant movie. 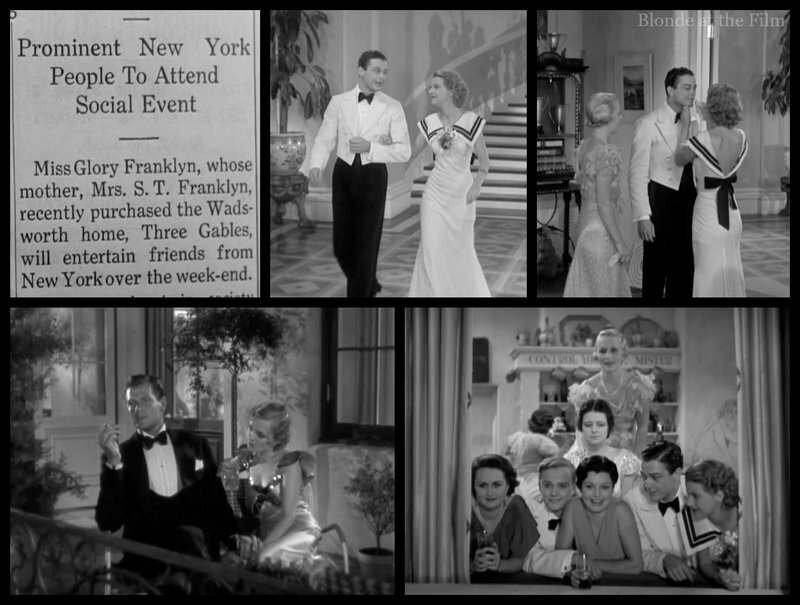 It was shot quickly in August of 1933 and released several weeks later at the end of October. It was just one of the many films that the studios churned out every week, and it’s certainly not in the canon of classics today. But that actually makes it a little more interesting to me. 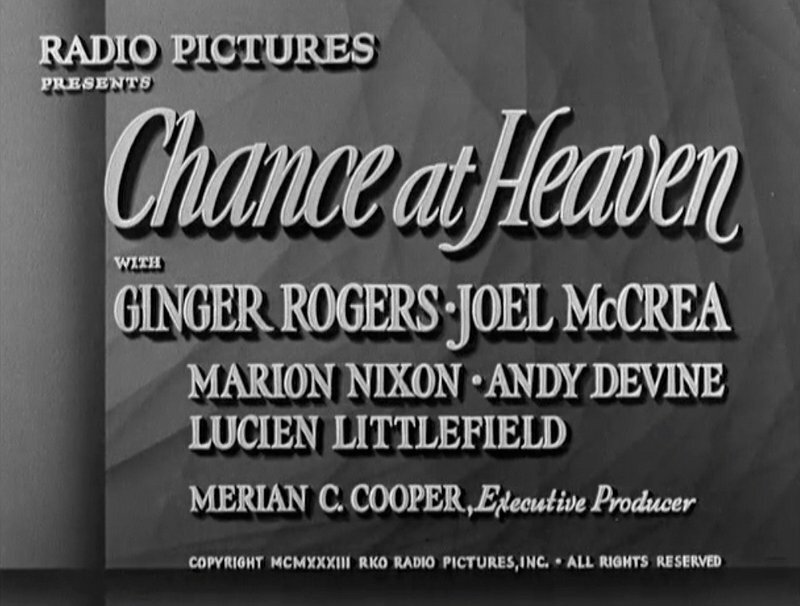 Watching movies like Chance at Heaven can tell you a lot about how movies were made, the personnel involved, and the tastes of the movie-going public at the time. Unlike a huge prestige picture, this kind of movie was the backbone of the studio system. Marje doesn’t seem bothered by Blacky’s tardiness for supper or for marriage. She calls him to check in, though. 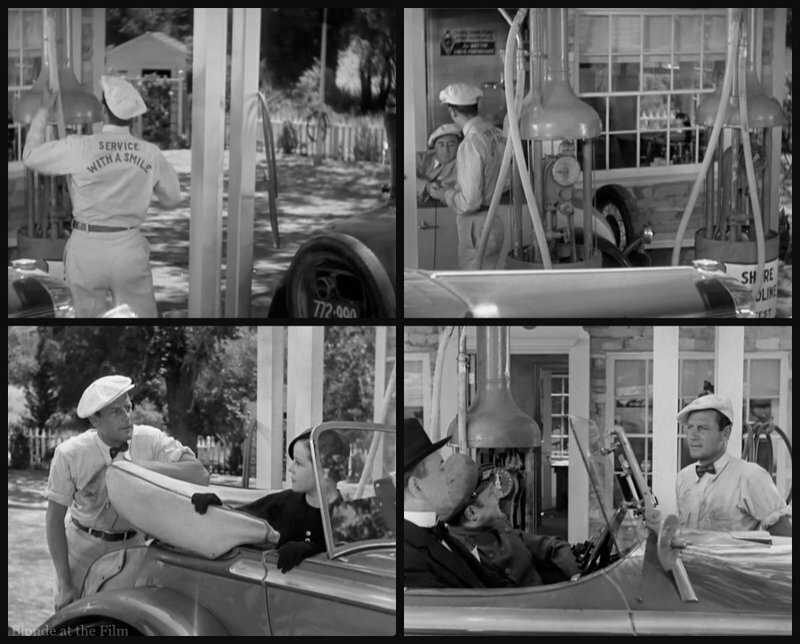 He’s busy working at his gas station, and he doesn’t think he can make it to supper. Marje says “okie dokie” and drives down to his station instead. She tells him to come home after he’s finished working. Then she grabs his house keys and heads off to his little bungalow to make his favorite chicken pie. Marje is clearly completely in love with Blacky, and he seems fond of her in his laid-back way. Blacky eventually comes home and is greeted by his favorite woman making his favorite dinner. The pair seem very in love and very compatible, and pretty much married, though unofficially, of course. For example, Marje spends a lot of time in Blacky’s house, and they have a whole dinner routine worked out. They’re clearly very serious about each other, and beautifully comfortable together. In this scene, we learn that Marje has helped push and inspire Blacky, and that she wholeheartedly supports his dreams for his gas station and garage. She would marry him tomorrow if he asked, but she is also content to be beside him as he works and saves until he is able to spruce up his station and perhaps even buy more. 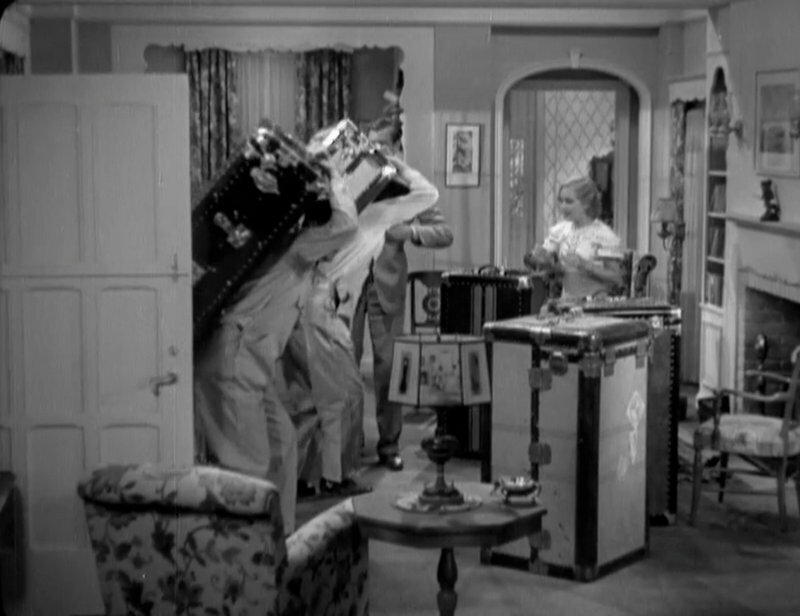 Although this scene is played innocently enough (though we don’t see Marje go home after dinner…) this is a very pre-code sequence. A young woman couldn’t spend time in her fiancé’s house without a chaperone, and an unmarried couple couldn’t enjoy a meal alone at home, either, when the Production Code became the law of the land. It’s just all too intimate and suggestive! But it was fine in 1933. The next day, some odd characters in a very nice car come through Blacky’s station. They ask for directions to Mrs. Franklyn’s house, and tell him to charge their gas to her, but Blacky has never heard of this Mrs. Franklyn. How mysterious! I love Blacky’s “Service with a Smile uniform.” Adorable. Soon after, Marje surprises Blacky at the station, and they’re in the middle of a smooch when they hear a crash. She introduces herself as Glory Franklyn. Her mother is the Mrs. Franklyn the other car was asking about. She has just moved into the biggest house on the beach, and Glory is on her way to join her. Marje watches the flirtatious interaction from inside. She knows this could be trouble. Blacky is clearly taken with young Glory, though he tells Marje he’s interested mostly because she’s such a bad driver. Sure. The next day (or maybe several days later? this film doesn’t mark the passage of time very clearly), Blacky rushes to rescue Glory who has wrecked her car yet again. 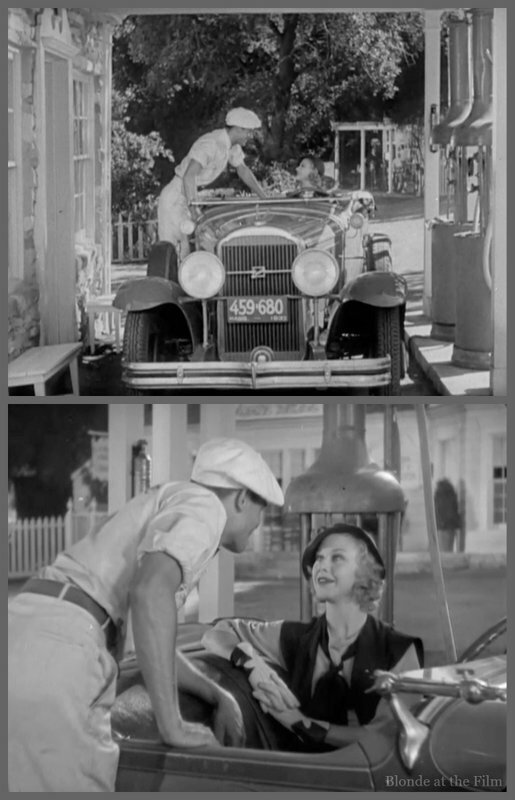 He gives her a lift to the country club (in his rickety old car that requires a hand-crank start), and they flirt quite a bit on the way. He tells her about the nightclub he likes to visit, and she seems awfully interested in trying it out, even though it’s a local spot and not intended for the wealthy New Yorkers like Glory who summer in the area. 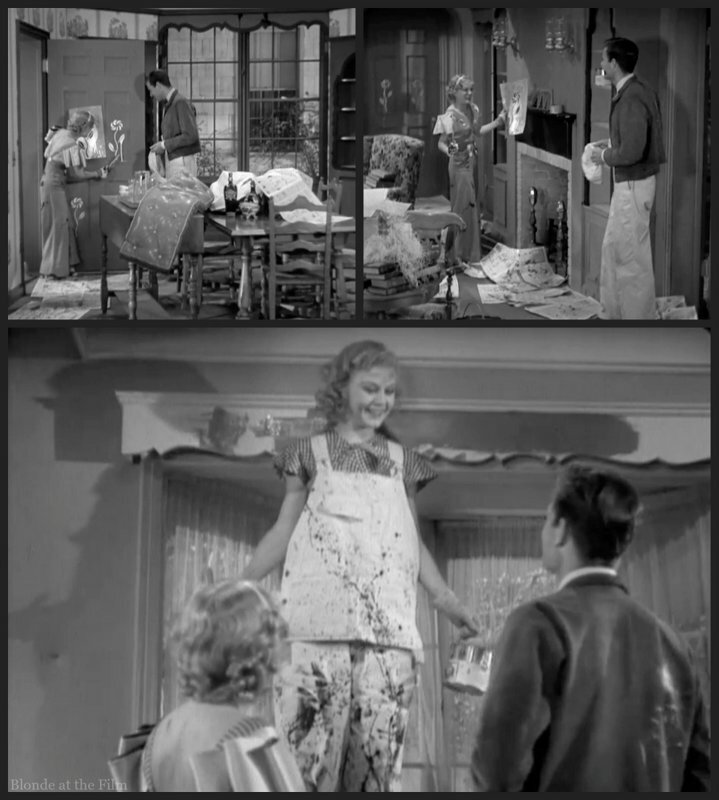 They make a funny pair with her crisp white ruffles and his grease-smeared face and clothes, but Glory seems to enjoy “slumming it,” and Blacky is entranced by Glory’s pretty face and cute giggle. Fun fact: Marian Nixon replaced Dorothy Wilson in the role of Glory just before production began. Nixon made her first film appearance in 1923, and although she never became a star, she worked steadily through the ’20s and into the ’30s before retiring in 1936. This film was a reunion of sorts for the director, William Seiter, and Nixon. He had directed the actress in two silent films, Where Was I? (1925) and What Happened to Jones (1926). 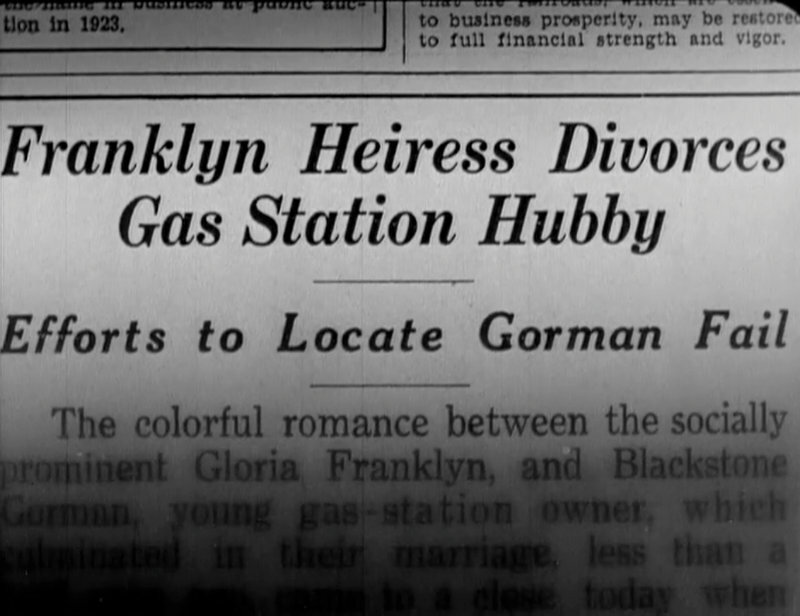 After reconnecting in 1933, the pair were married in 1934. 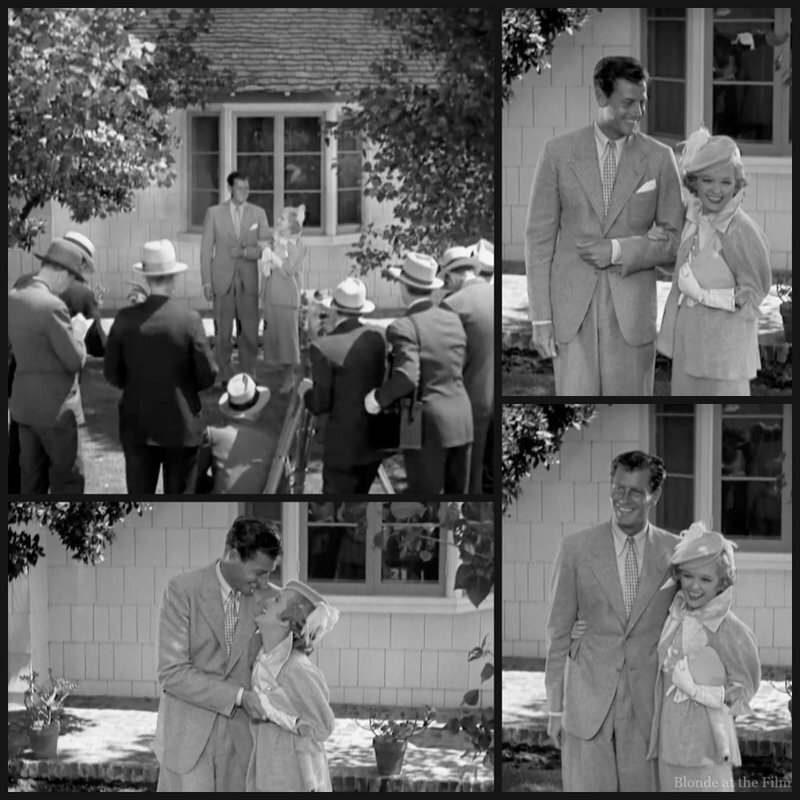 They made one more movie together, We’re Rich Again (1934), and remained married until Seiter passed away in 1964. Seiter also had future ties, though not quite as close, to Rogers and McCrea. 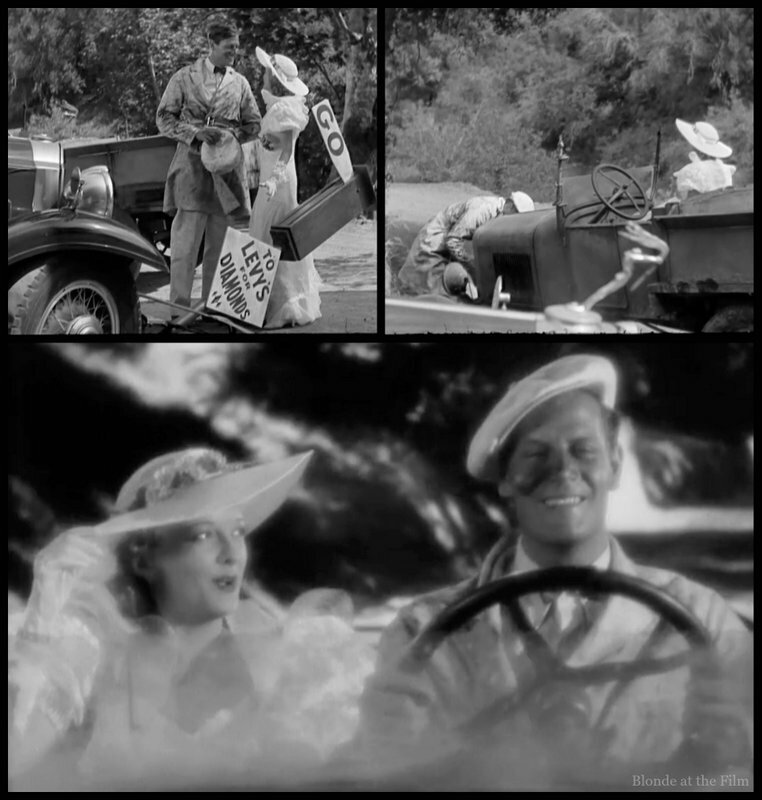 The director would work with McCrea twice more after Chance at Heaven: first on The Richest Girl in the World (1934), another movie in which down-to-earth McCrea falls for an heiress, and then Three Blind Mice (1938). 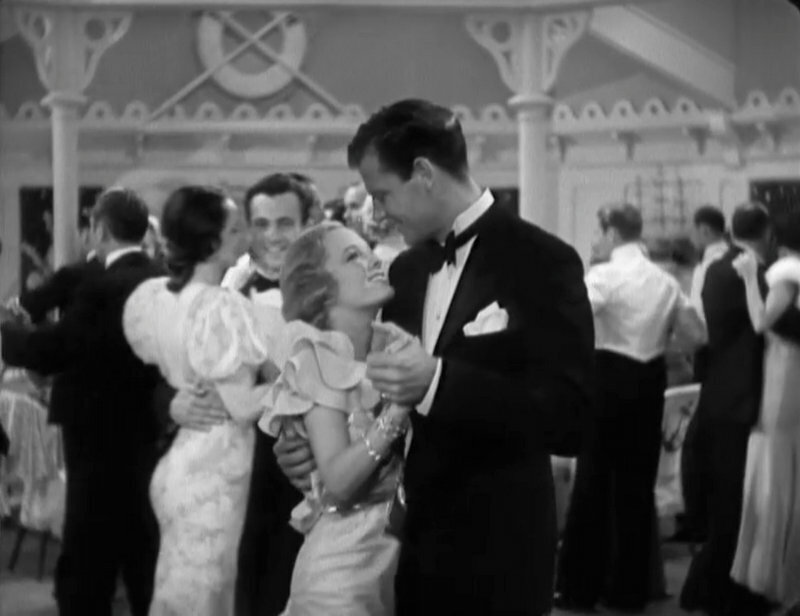 Seiter would direct Rogers in Roberta (1935), the third Astaire-Rogers pairing, and that same year, Seiter and Rogers reunited for their fifth and final film, In Person (1935). Back to the film! Marje and Blacky are dancing in the club he told Glory about, but his mind is not on his partner. Marje notices, and she knows exactly why he keeps glancing at the door. But instead of getting mad (she has a perfect right to), she plays it cool. She’s going to let this infatuation run its course. If Blacky really prefers Glory and Glory will date a gas jockey instead of her usual high society types, then Marje doesn’t want to get in their way. It seems a little silly and unrealistic to me, but very high-minded. Shortly after arriving, the ladies of the party head to the bathroom to freshen their makeup. Glory tells Marje that she isn’t really going to marry her fiancé. He’s dull. Then she tells Marje that if she was engaged to Blacky, she would go ahead and marry him right away. She advises Marje to lock her handsome man down before someone else steals him away, or before he finds someone else. Glory isn’t terribly subtle. Marje says that she wants to marry Blacky, but she never wants to get in his way (or some similar nonsense.) Then they play with makeup. Marje is very taken with Glory’s adorable clock lipstick. There’s even a close-up of the item, which seems to suggest that the identifiable lipstick will come into play later. (One can easily imagine the lipstick rolling out from under Blacky’s desk or his bed and thus alerting Marje that he has been dallying with Glory.) Oddly enough, though, the lipstick never comes back. So perhaps clock lipsticks were just the newest thing and RKO wanted to make sure they included one in the film? Once the ladies return, they switch partners for a dance. Blacky is overwhelmed by Glory’s beauty and her adorable ignorance. She seems so young and silly, so unlike practical, level-headed Marje. Marje keeps her cool. Somehow. And we think that maybe Blacky isn’t worthy of Marje if he is so easily swayed by a silly, flirtatious woman. Things get going awfully fast after the dance. Glory shows up at Blacky’s station, and before he knows it, she’s crying into his manly shoulder about how tired she is of living under her mother’s thumb, and how she doesn’t really love her fiancé, and how she longs to do what she wants instead of worrying about what she’s supposed to do. Life as an incredibly wealthy socialite is hard. Blacky stupidly brings weepy Glory into his office, and of course they end up kissing. Then Marje arrives with Blacky’s lunch. Blacky feels guilty about the kiss. He tells Marje that he wants to marry her right away to prove his love. But she refuses and releases him from their engagement. She knows that he will marry her just to stay true to his word, but she doesn’t want that kind of marriage. It’s obvious that he has a crush on pretty Miss Franklyn, and Marje doesn’t want to start their life together with that hanging over them. Besides, what if he really loves Glory? It’s a beautiful, somber scene, though it all seems rather dramatic. And Marje’s final promise to remain friends rings hollow. How could she watch the man she loves marry someone else and still be his buddy? Is she a robot? Marje keeps it together with Blacky, but the tears sparkle in her eyes as she drives home. 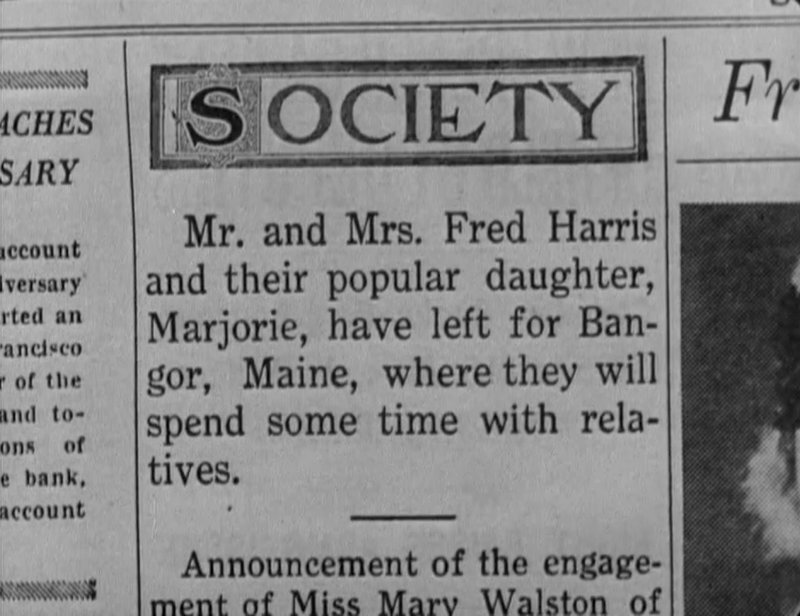 Cut to a blurb in the newspaper about “popular” Marje and her parents leaving town for a while. She has removed herself so that Blacky can pursue Glory without any guilt. While Marje is in Maine, Glory invites her friends to her mother’s estate for the weekend. Blacky is included with the rest of the dissolute pleasure seekers. There’s plenty of lip stick wiping, overt flirtation, and hints of promiscuity and wildness at the party. The “prominent New York people” even crowd into the window to gawk at Blacky and Glory’s private time on the terrace, and joke about what they’re doing out there all alone…This kind of “inappropriate” gallivanting would be cut from movies after the Code came into effect. For example, the scene with the sailor-dress girl and her beau coming down the stairs together, (alone! ), followed by her wiping lipstick off of his face would be enough by itself to send the Production Code Administration into fits. But it’s fine in 1933! Blacky seems out of place at this scandalous high society weekend, but when Glory plants a steamy kiss on his handsome face and whispers that they should get married, he goes with it. A newspaper article and a telegram to Glory’s mother tell us what what happened next. 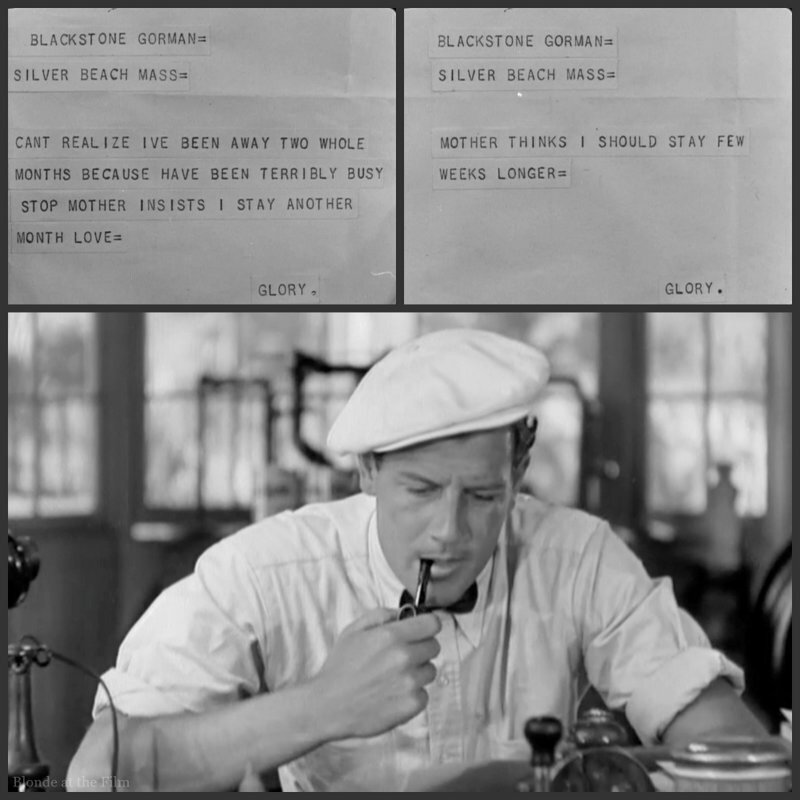 (This film, as is typical for an early 1930s movie, relies heavily on newspapers and telegrams to relay important information to the audience.) 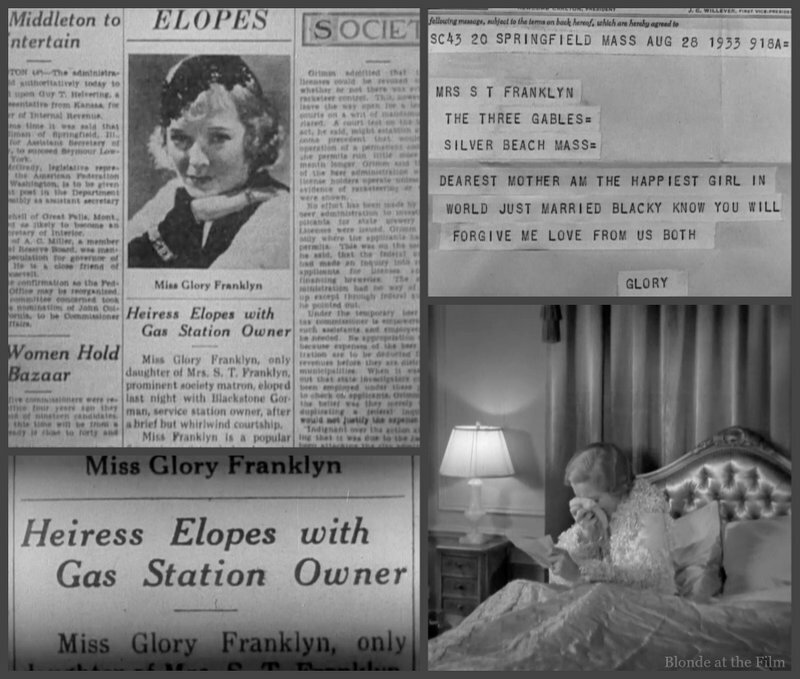 Unfortunately, Mrs. Franklyn begins sobbing when she receives Glory’s telegram. That does not bode well. But Blacky and Glory seem to be having a wonderful time! She works it for the photographers and reporters who have descended on their home. Blacky enjoys the attention, too. Unfortunately, Glory’s mother is far less thrilled. She feels that her daughter has thrown herself away on a poor gas pump jockey, and besides, Glory is far too young and naive to be a wife! She begs her daughter to come back to New York, or at least to let her buy them a fine house. She can’t bear to see Glory brought so low! But Blacky steps in and asserts his new authority as Glory’s husband. Mrs. Franklyn departs, though not before supervising the delivery of a few of Glory’s trunks. She didn’t want her darling daughter to be without a basic wardrobe! The trunks keep coming until the room is bursting with them. Glory says she wants a simple life, but this scene belies her statement. She is used to grandeur and absurd wealth, and we doubt that she can transition to her a modest life with Blacky. Blacky tells her to go ahead, but he seems a little overwhelmed when he comes home from work and finds the house destroyed. She has enjoyed herself with stencils and silver paint, but she hasn’t done it alone. She called Marje in tears because she couldn’t figure out how to open the paint can, so Marje hurried right over to help. Marje and Blacky laugh at Glory’s ineptitude as though it is the most adorable thing they have ever seen, but I think we are supposed to feel differently. Glory is lovely and sweet, but laughably naive and clueless, and she seems to be playing at life. Her incompetence is annoying, especially compared to Marje’s sensible know-how. You chose the wrong woman, Blacky. We’re supposed to accept that Marje loves Blacky so much that she is happy to help him and his new wife in any way that she can, even if it means spending the day painting his house. But she still has trouble watching Glory make out with Blacky. She turns and runs when they kiss. Despite that moment, Marje soon comes back to help Glory make Blacky’s favorite meal, chicken pie! Surprise! Glory is useless in the kitchen! And she’s apparently just wearing undies beneath her (ruffled, of course) apron. 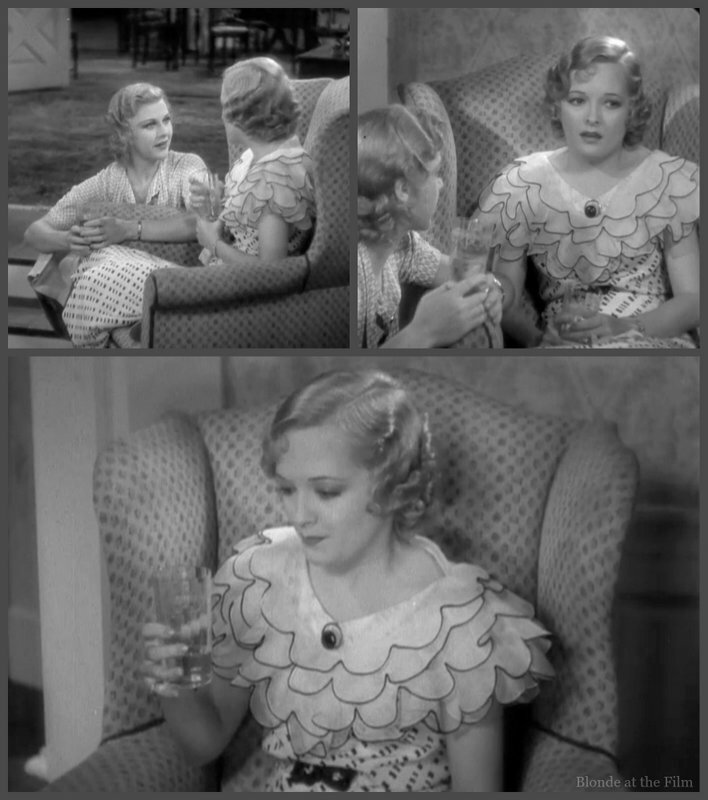 That’s a very pre-code outfit. By the time Blacky gets home, Glory has put on a very silly, very ruffled dress. She shows him their new living room, and he pretends to like it, though he has a hard time getting comfortable in his new chair. Costume appreciation break. Glory can barely walk in her dress, and retrieving the pie that Marje made from the oven requires some extra effort. But the dress sure is chic. And silly. Just like Glory. Time passes, we think. As I mentioned earlier, it’s hard to tell in this movie. Days, weeks, or months later, Glory shows up at Marje’s house with some big news. She has just come from Dr. Jameson, and he told her that she is pregnant. Marje is thrilled for her, but Glory is terrified. Her cute play marriage has suddenly become very, very real. Glory asks Marje for a big slug of gin, and takes it down in one gulp. Then Marje asks if she wants another! Different time. Glory’s mother is very concerned when she learns about the pregnancy. She doesn’t think that Glory is ready for that, and she certainly doesn’t think that Blacky can take care of her. Meanwhile, the news spreads until Blacky is the only one who doesn’t know. His employee (Andy Devine, whom you may recognize from Stagecoach (1939), as well as many other films) is the one to break the news. Blacky hurries home to celebrate with Glory, but finds his shocked wife sitting with her mother. Mrs. Franklyn tells Blacky that she wants Glory to come live with her for a while because she is just a “child herself,” and Mrs. Franklyn can provide better care in New York than Blacky can in Silver Beach. Glory begs Blacky to let her go for a short visit, and he agrees. Poor guy doesn’t quite realize what’s happening. Glory has really turned up the ruffle factor with that tulle dressing gown. Blacky isn’t sure what to do. He finally calls his wife in New York City and learns that she is preparing to leave. He assumes that she is coming back to Silver Beach. When Marje stops by, he tells her that Glory is finally on her way home! But Marje has come with her own news: Glory is heading to California with no intention of returning to Blacky. Blacky takes off for New York immediately to try and catch Glory before she goes. Glory is cold and distant, not the cute, bubbly girl he knew. She has even changed her style. That shimmery dress with the dark fur neckline is quite different form the pale, ruffled numbers she used to wear. Perhaps she has finally grown up. Glory tells him that their marriage is over. She is leaving, and it was all a mistake. Blacky asks about the baby, and Mrs. Franklyn answers simply, “Your Dr. Jameson was wrong.” Glory stays silent. And that’s all we get. It’s left ambiguous; it could have been a mistaken diagnosis, a miscarriage, or an abortion. We don’t know. 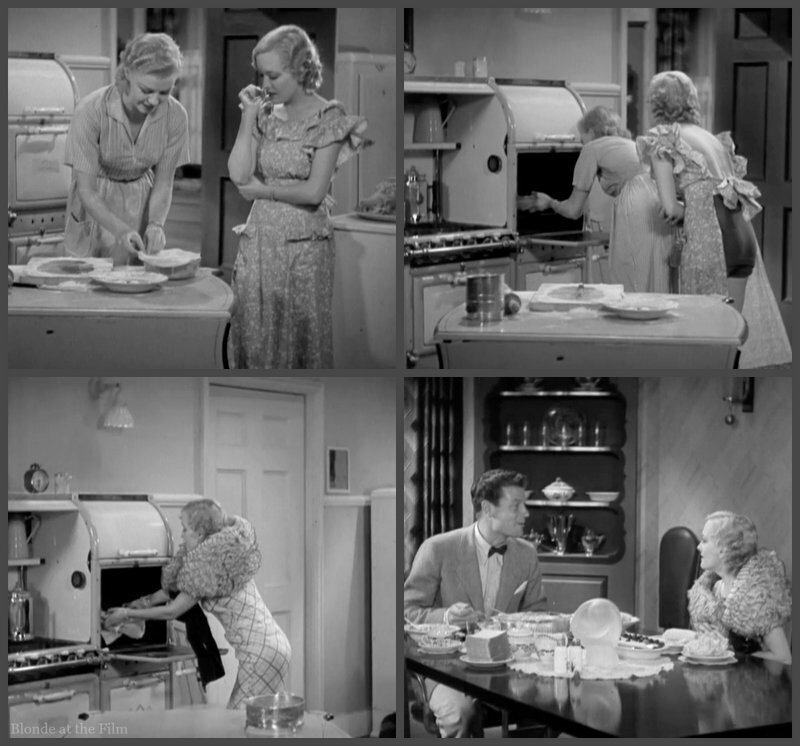 That’s very pre-code, too. A post-code film would not have been able to suggest an abortion. It would have had to clearly state that Glory had never been pregnant at all, or that she had tragically miscarried. Blacky realizes that his marriage is over and goes home. The newspaper informs us, too, in case we didn’t get it. Blacky walks into his house and falls into his chair. He doesn’t realize at first that it is his chair–the old one that was comfortable and practical, not the tiny one Glory bought. Then Marje appears with chicken pie. She has swooped right back into Blacky’s life without any bitterness or conflicted feelings about the little matter of his marriage. Blacky finally realizes how wonderful Marje is, and how perfect they are for each other. They eat the chicken pie and gaze in each other’s eyes, and we know that everything will be alright. The end. This movie isn’t great, and it moves strangely quickly without much motivation. Blacky is not a particularly likable character, Glory is annoying, and Marje seems far too self-possessed to be real. 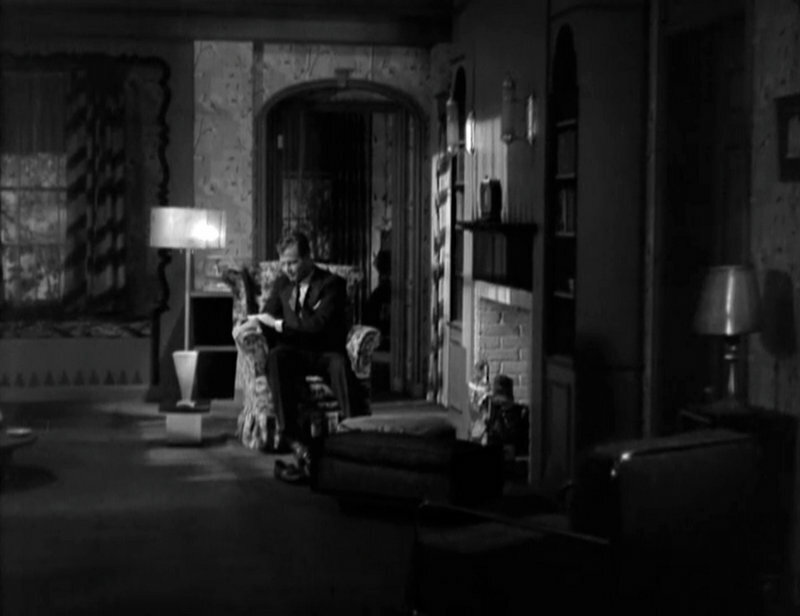 Joel McCrea gives quite a satisfactory performance as Blacky. Ginger Rogers, who dances so nicely in “Flying Down to Rio,” the Radio City Music Hall picture, assumes here the role of Marje, and she acts the part better than it deserves. Marian Nixon does reasonably well as Glory. This film neither helped nor hurt the careers of the stars, passing without too much notice. 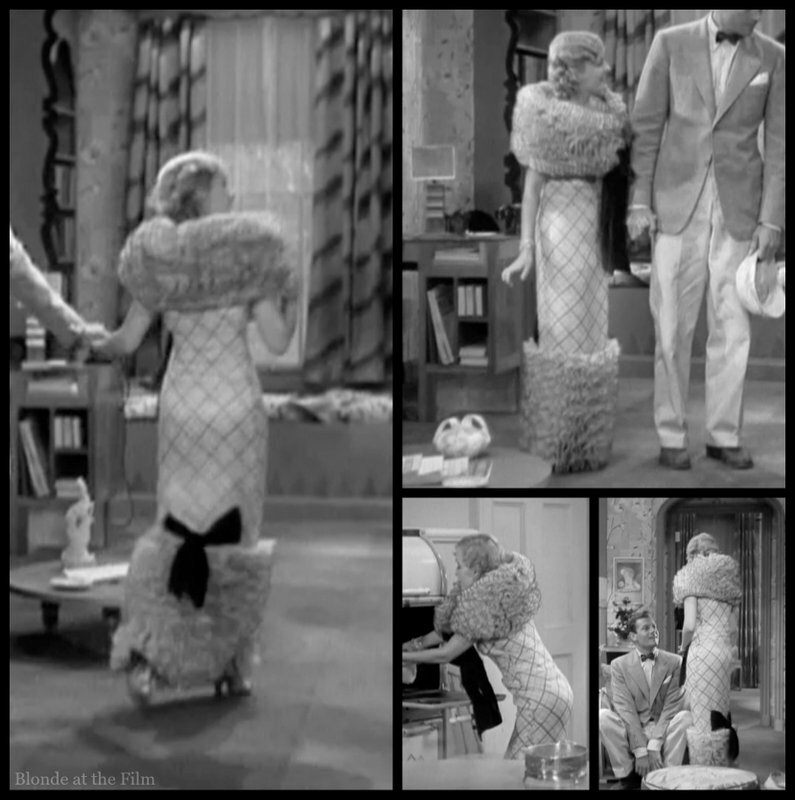 Marian Nixon was nearing the end of her career, but McCrea and Rogers would only become more famous and in demand as the 1930s wore on. 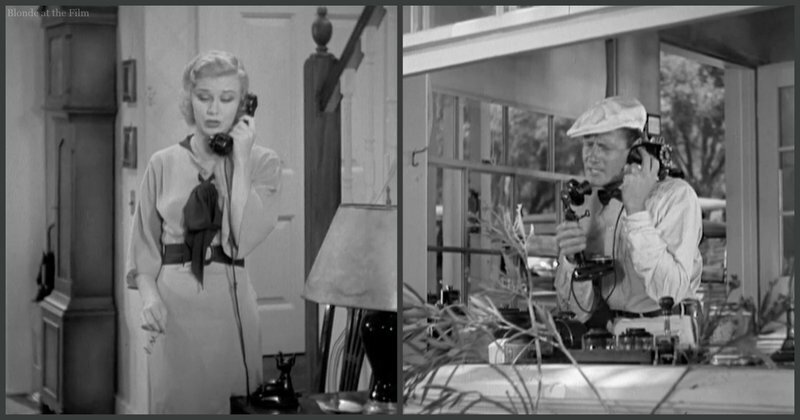 They became big name stars in the late 1930s and ’40s, and were teamed up again for a drama called Primrose Path (1940), the same year that Rogers won the Best Actress Oscar for Kitty Foyle. Ginger and I always got along good. I put my arm around her the first time I ever saw her. 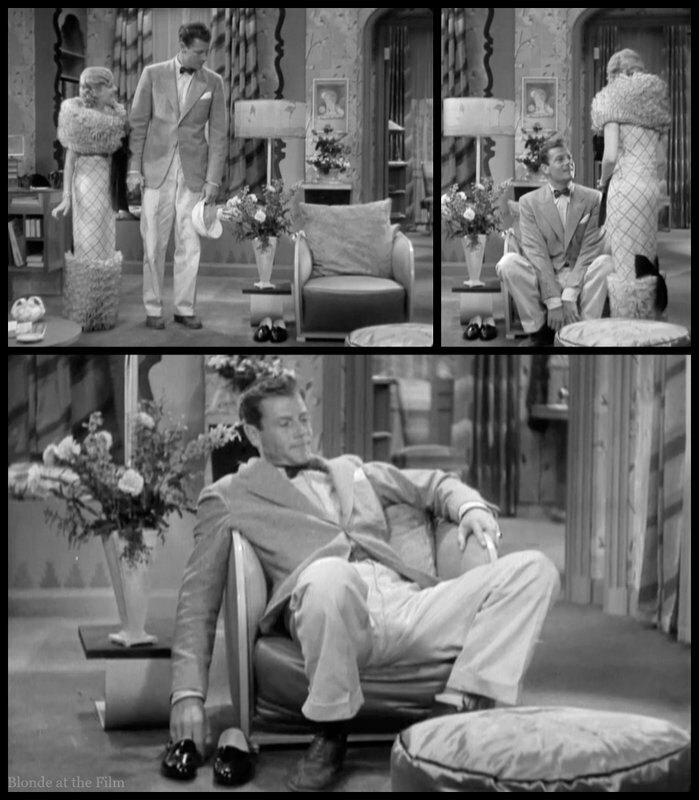 And when I sat down in a big chair on the first day of shooting, she sat on my lap, put her arms around my neck, looked me right in the eyes and said, ‘Should I marry Lew Ayres?’ I said, ‘I don’t know. 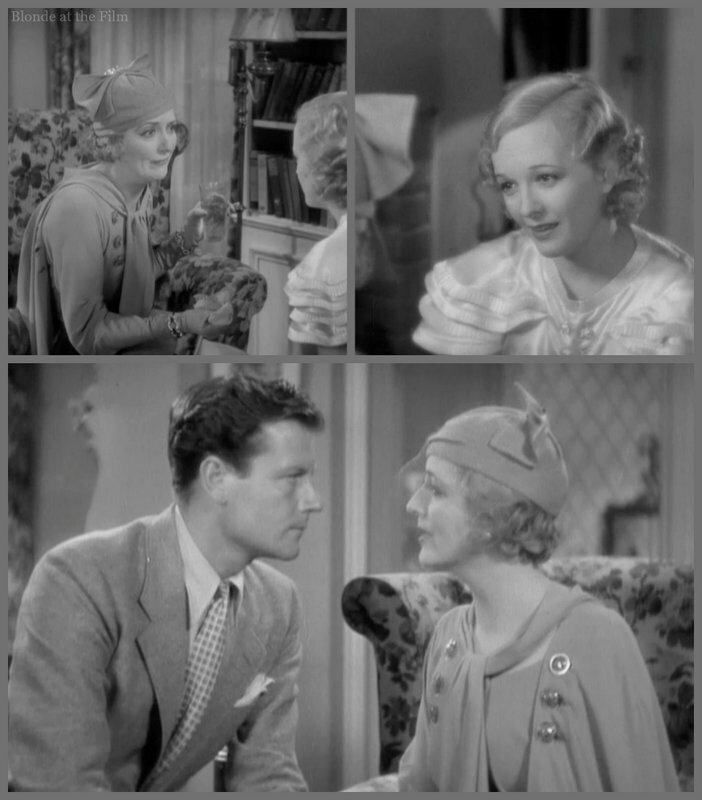 I like Lew Ayres, he is a nice guy.’ And she said, ‘I know you do and he loves you’…I didn’t know Ginger very well, but she’s that kind. If she likes you, she’ll go to Europe with you the next day. She’s got nothing but guts and still looks the same, is built the same, nothing ages her. She’s quite a character, a hell of an athlete, a good tennis player and a good swimmer. And this movie is where it all began! 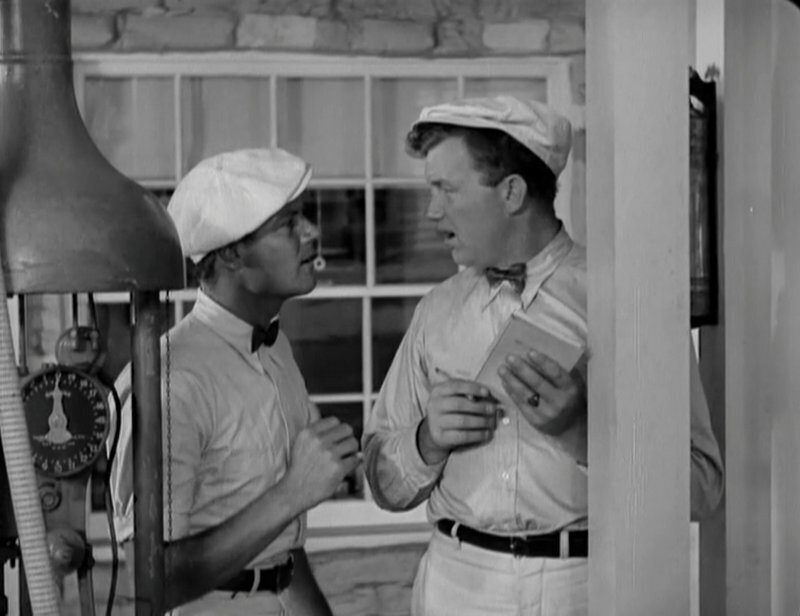 It’s fun to watch Rogers and McCrea in one of their early movies, and it’s always entertaining to indulge in a pre-code film! For more, follow me on Twitter, tumblr, Pinterest, Instagram at BlondeAtTheFilm, and Facebook. You can buy this film here. 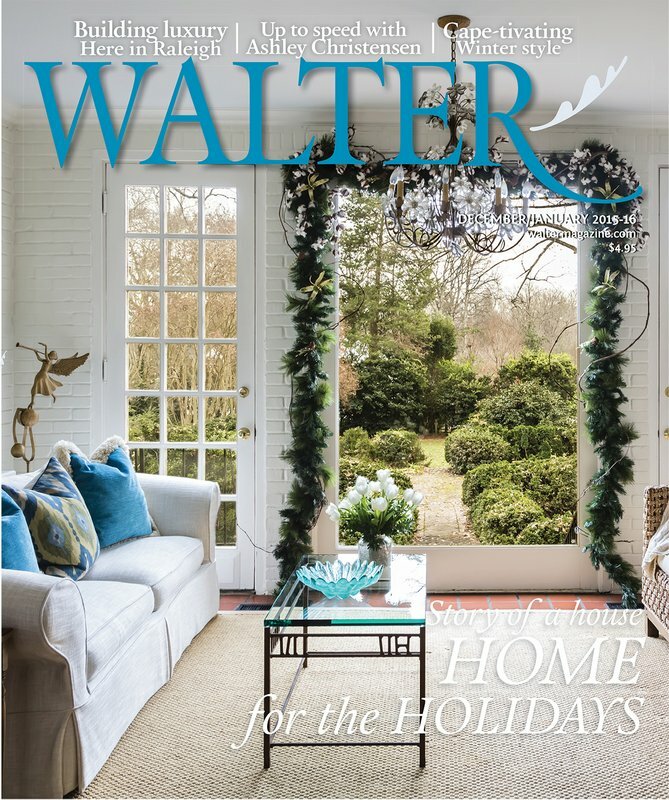 As always, thanks for reading! And thank you again to Peter McCrea for allowing me to use his father’s interviews! 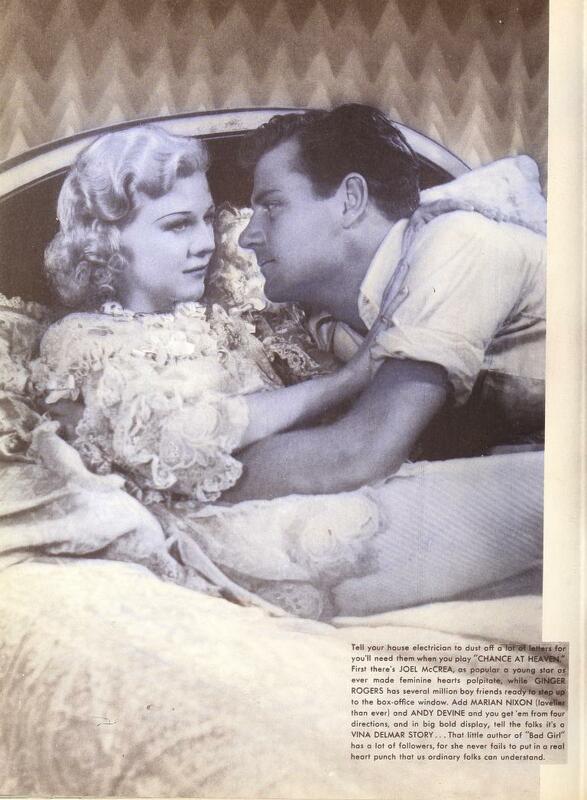 Final fun fact: I love this ad from Motion Picture Herald because this scene is actually between Nixon and McCrea in the movie–they have spliced Ginger Rogers’ head on Marian Nixon’s body! It’s gotten to the point where I do a mental happy dance every time I get a notification of a new post, so I guess I’m a fan. Wonderful stuff. Thank you so much! This comment made my day! 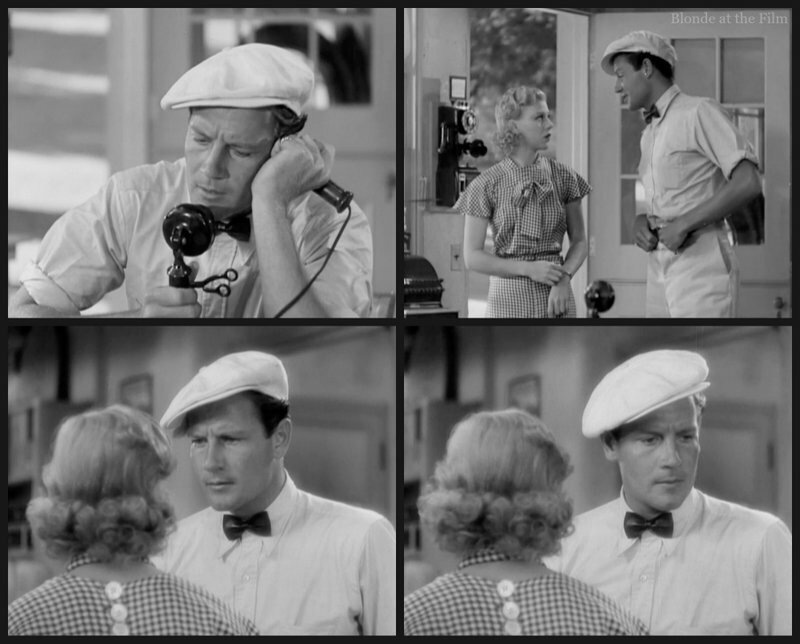 I have never seen The Whole Town’s Talking, but I’ve ordered it from ClassicFlix! Thank you for the recommendation! And thanks again for being a fan! 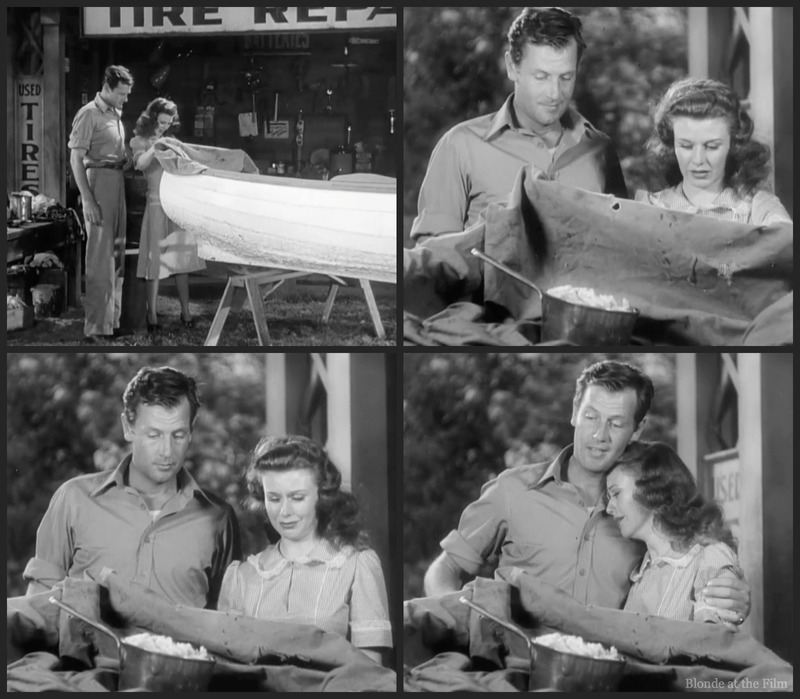 Joel McCrea is certainly a jerk in this film. LOL. However it is amazing you did such a detailed review on this obscure film. Glad to see you are into classics. I always felt like a nerd because my peers were into current films and I was into classics in the film noir and screwball comedy genre. All these movies came out before I was born and it was considered old school to like black and white films. I have this DVD and own the poster. Hey could you follow me on Twitter? I am @nertopia. I have a message about a project to send you. Glad you enjoyed my review! 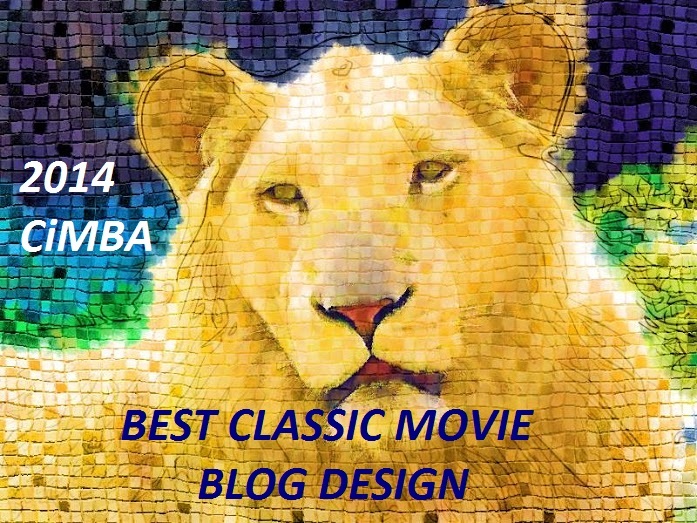 Check out http://clamba.blogspot.com for many more classic movie fans!